Got served again? No need to worry. Now’s time for your ‘refuse-to-lose’ attitude! 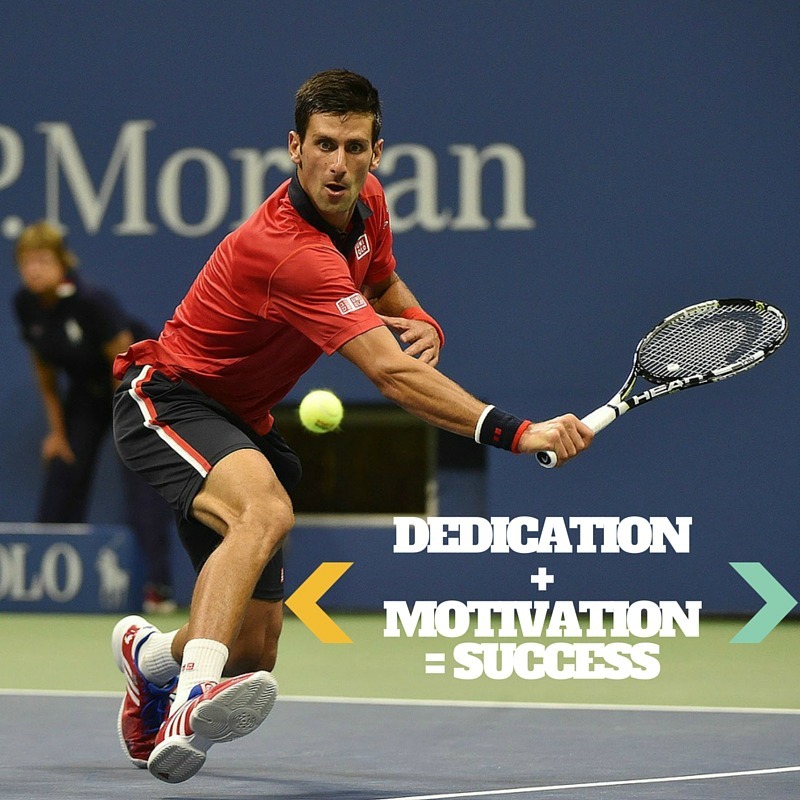 Follow the champ Novak Djokovic and become your own tennis Pro with a ‘Kick My Ace’ approach. Djokovic is currently ranked world No. 1 in men’s singles tennis and is unquestionably one of the greatest players of all time in this highly competitive, fast-paced sport. 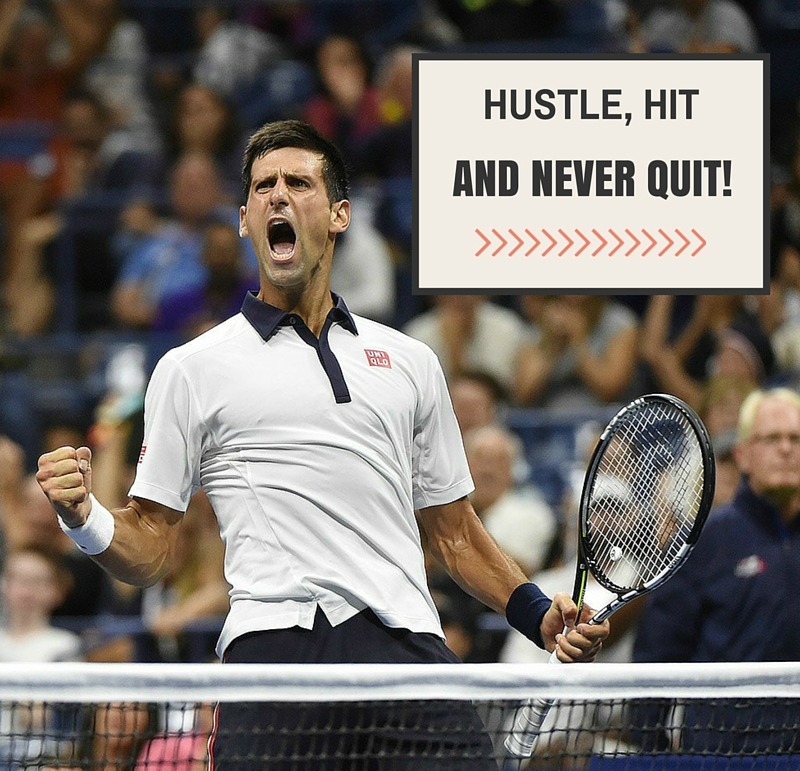 His tremendous success in an era which has seen players such as Roger Federer and Rafael Nadal dominate is definitely impressive, and can certainly encourage you on your way to developing a winning ‘if it’s gotta be it starts with me’ attitude. Watch and learn from the unstoppable Djoker! 1. Work on your Style and Go in for the Kill! Keep improving your technique and never let good enough be enough. Novak’s groundstrokes are not only deep but also penetrating and his best shot, the backhand down the line, is always hit with great pace and precision. Working on your shot skills is importantfor progressing your game, so who better to take tips from than the world No.1? Now it’s your turn to use Nole’s weapon! 2. Let them See your Fancy Footwork, Show them what you Got! Djoker is one of the greatest movers on the court, very nimble on his feet and so agile that sometimes it’s unbelievable. To become unbreakable like him requires working on moving your feet and improving court coverage, agility and defensive ability. So get those dancing shoes on and become an aggressive all-courter by training yourself to move quickly and gracefully and dictate your side of the net! This is the way a real champion thinks, and a good dose of self-confidence goes a long way. Well, you can’t disagree with that, can you? 5. Laugh as long as you breathe, love as long as you live! 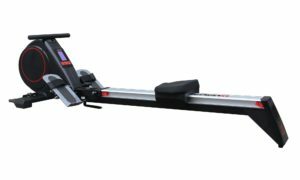 Coupling reliable technique with the confident mindset of a winner is all well and good, but if you can’t enjoy your play and practice then what’s the point of it all? Novak sure knows how to have fun on the court, as he shows in this brilliant video and states in his Twitter bio. So let yourself go a little crazy, never lose your sense of humour and stay positive no matter what. You can do it! Kudos to anyone who dares to tease Maria Sharapova!